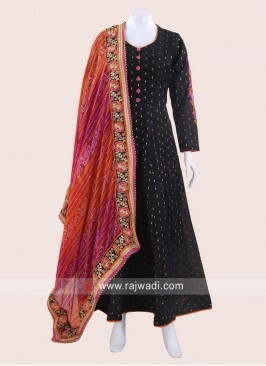 An adorable Raw Silk Dress Material with Crepe Silk bottom material and dupatta in Chiffon fabric. 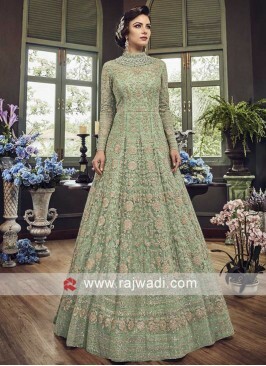 Complete Dress Material in Light Green color. Embellished with heavy embroidery work all over for a pretty look. Resham and Zari Work Desi.. 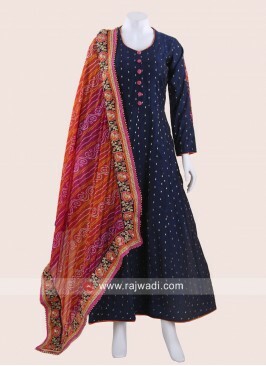 Dark Navy Blue Semi Stitc..
Net Heavy Work Salwar Kam..